This is the final post in my series on issues which the Clark County Family court will and will not rule on after basic custodial issues have been established. I began this series because after a couple splits up it is not unusual for the two parents to have strong and differing opinions on certain child-related issues. These topics often inspire passionate standpoints that can be difficult to resolve; thus parents often come to a standstill and wish for a Judge to make a final ruling on such issues. I wanted to take the opportunity with this blog to explain why the Court will often decline to rule on topics that parents may view as of dire importance. Furthermore, I wanted to give parents guidance on how they may continue to navigate these co-parenting pitfalls. Every parent wants what is best for their children and most have specific ideas of what that means. It is of course frustrating when one feels as if their co-parent is actively undermining what they believe is the best roadmap to success for their child. When dealing with a co-parent and considering going back to Court it is important to remember that there are many ways to raise successful children. 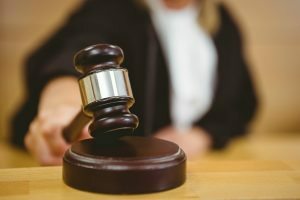 The Court will only intervene if a parent is acting against the child’s best interests or if it believes that a child is being actively harmed, neglected, or abused in some way. The Court will not force one parent to impose another parent’s beliefs if those beliefs are seen as “opinions” or optional. Examples of issues the Court will not force another parent to enforce may include specific enrichment educational activities, organic food diets or other diets not required for strict medical reasons, religious practices, specific curfews and bedtimes, specific instructions on what entertainment and software applications a child may use, etc. The basic rule I have stressed throughout this series is that, during each individual’s own custody time, they may parent however they choose, so long as it is lawful. Not agreeing with the other parent’s philosophies are not a valid reason to ask for a change in custody or to go back to Court. I urge parents to keep this in mind when considering if they should take legal action to deal with an issue. If you are having difficulty with your co-parent, you may or may not require the legal system. Consulting with an attorney can help you determine your needs and legal options. Contact our family law office today for a consultation.